Linhai | ASP Group s.r.o. Official distributor of Linhai ATV/UTV for the Czech and Slovak Republic, Poland, Romania, Croatia and Slovenia is ASP Group Distributing company. 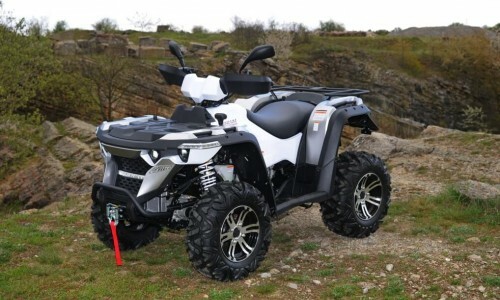 Utility/recreation Linhai ATVs will surprise you with excellent maneuverability, high working morale, smooth ride, best quality/price ratio on the market and great value for money. Current Linhai ATV and UTV models are on very high level in development, design, technology, manufacturing quality and reliability. In the daily use you will appreciate comfortable chassis, quiet and reliable liquid-cooled engines, and easy to use electrically selectable 2x4 / 4x4 drive. Also your wallet will appreciate the fact, that Linhai are the most affordable quality utility-recreational ATVs/UTVs on the market. 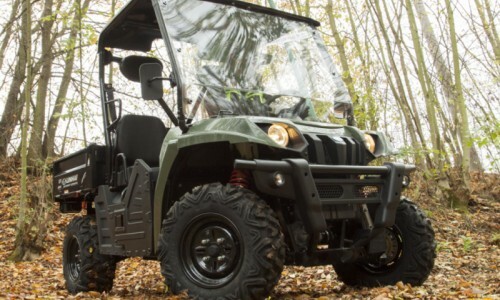 Attractively priced Linhai utility ATVs are efficient workhorses for work and play with amazing off-road abilities. They are incredibly versatile yet very easy to operate. Linhai utility ATVs are enjoyable, easy to drive and highly maneuverable, and can turn your everyday work into fun - working with Linhai ATVs is always bit of pleasure too. And you can even enhance their capabilities further by attaching a wide range of accessories. Linhai utility ATVs offer excellent maneuverability, high reliability in everyday use, great pulling power, quality winches as standard equipment, electrically selectable 2x4 / 4x4 drive, best quality/price ratio on the market and great value for money. Linhai UTVs are packed with modern technologies. Hard working and fun to ride, they combine high practicality with quality workmanship. Linhai UTVs are easy to ride thanks to the automatic CVT transmission, electrically controlled 2WD / 4WD system and adjustable steering wheel. Cargo beds are large enough to carry everything you need. Linhai UTVs are reliable workhorses on farms, construction sites, in forests or in emergency services, and still enjoyable to ride. With Linhai UTVs you can choose from a variety of engines, from surprisingly reliable 400cc up to a high-performance 700cc single-cylinder or extremely efficient Perkins diesel engine with long driving range. Our customer care does not end by sale and delivery. We offer professional after-sales service and fast delivery of original spare parts. We constantly strive for high professionalism of sales and service staff in our widespread dealer and service network, one of the largest in Central Europe region. With more than 400 locations all over the Central and Eastern Europe we are always close to you when you need us. We permanently hold an extensive stock of original spare parts and accessories at our central warehouse in Letkov near Pilsen, so we can guarantee fast shipping. With Linhai original spare parts you can be always sure that they will fit, are designed to the exacting manufacturer´s standards and work better and last longer than aftermarket parts to keep your ATV in best possible operating condition. For more than 50 years, Linhai has been designing and manufacturing quality engines, motorcycles, ATVs and other vehicles for commercial and industrial use. In 1981 Linhai successfully developed a line of motor scooters. Until 2005, Linhai established its position as the leader in Chinese recreational vehicle manufacturing with the development of its ATVs and CUVs. 2002 - With the increasing demand for Linhai ATVs new models Tornado 260 Tornado 300 and Stormer were launched. 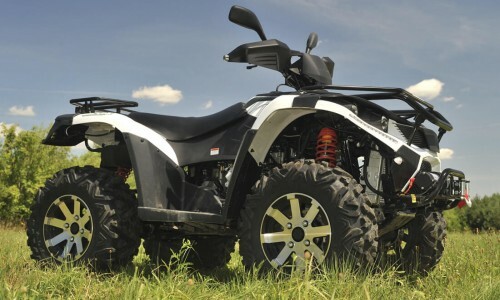 As the first Chinese manufacturer, Linhai develops first four-wheel drive ATV. 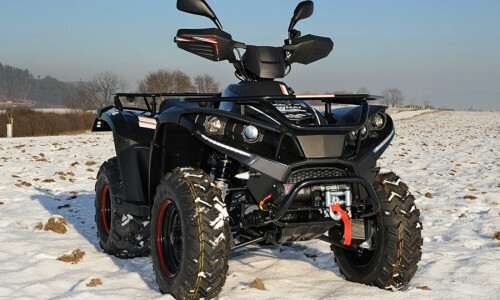 2004 - Joint venture Jiangsu Lianhai Power Machinery Co., Ltd. was set up by Linhai and the partners from the United States, Italy and France for the production of ATVs and UTVs under the Linhai brand. Linhai benefits from a close relationship with Yamaha, including several joint ventures in the manufacturing of motorcycles, motor scooters, engines and generators. These products are distributed worldwide under the Yamaha brand. This sharing of technology and manufacturing expertise has led to Linhai being recognized as the leading Power Sports manufacturer in China. In 2014, ASP Group s.r.o became the official Linhai distributor for the Czech, Slovak Republic, Poland and Slovenia. We are pleased that JIANGSU LINHAI POWER MACHINERY Co. Ltd. considered us as a strong and reliable partner.